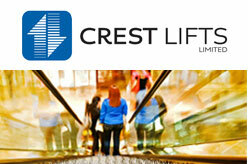 Crest Lifts Ltd is a market leading lift modernisation, lift maintenance, service repairs and 24-hour call out lift service company. Crest Lifts based in Hants, Surrey, Berks and London, supports all clients with Lift Repair and Maintenance throughout the South East. Farnborough, Hampshire GU14 6UU, United Kingdom.